MOSCOW, April 16. /TASS/. The International Tribunal for the Law of the Sea does not have jurisdiction to consider the incident in the Kerch Strait, the Russian Foreign Ministry said in a statement issued on Tuesday. Ukraine earlier appealed to the international tribunal seeking release of Ukrainian sailors detained in Russia over the illegal crossing of the Russian border. “In connection with the process initiated by Ukraine on the basis of the 1982 Convention, the Russian side proceeds from the fact that the International Tribunal for the Law of the Sea does not have jurisdiction to consider the ‘Kerch incident’, in particular due to clarifications provided by both Russia and Ukraine about inapplicability of procedures envisaged by the 1982 Convention to certain categories of disputes,” the foreign ministry said. “International court proceedings should not interfere with the criminal investigation underway in Russia, and its results should not be predetermined by the decision of the international court,” the foreign ministry added. “We call upon the Ukrainian side to act in good faith in the interests of resolving the problem that emerged on its behalf, to show real consideration for its citizens, and to start bilateral consultations instead of initiating court proceedings,” the ministry noted. 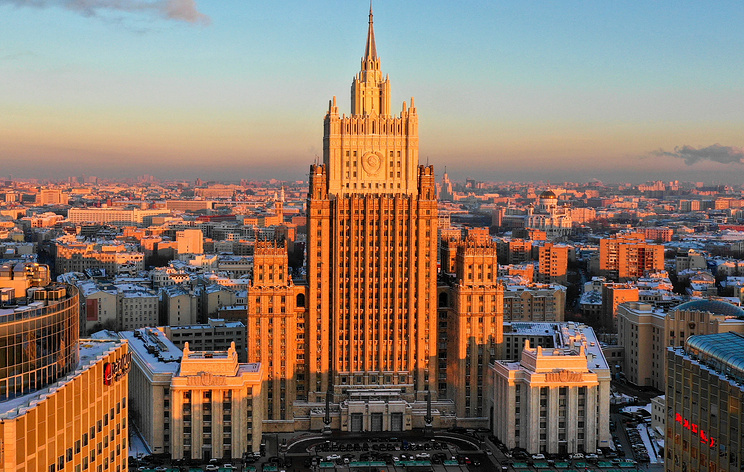 “The Russian side remains open for contacts in the bilateral format on issues related to this incident, and Ukraine will be officially informed about this via Russian Foreign Ministry’s notes,” the ministry stressed. On November 25, 2018, three Ukrainian naval ships left the port of Odessa heading into the Sea of Azov. While passing through the Kerch Strait, they violated the rules of passage for warships through Russia’s territorial waters from the Black Sea into the Sea of Azov. In defiance of Russian border guards’ lawful demands to halt, the Ukrainian ships went on moving, thus forcing the Russian border guards to open gunfire in order to compel them to stop. The ships were detained and towed to the city of Kerch. Twenty-four Ukrainian sailors were arrested on charges of the illegal crossing of the Russian border. A criminal case was opened. Hey Buddy!, I found this information for you: "International tribunal has no jurisdiction over Kerch incident — Russian Foreign Ministry". Here is the website link: https://russophile.org/international-tribunal-has-no-jurisdiction-over-kerch-incident-russian-foreign-ministry/. Thank you.